Have you ever felt a dream slip away? It’s the worst feeling. You think about everything you’ve sacrificed. You remember how hard you’ve worked. You know how many people – whether it’s your teammates and coaches in the locker room or family and friends watching – who are rooting for you, cheering you on. Well, when your team is down by one in a gold-medal game, you start to have that feeling. But this time, it didn’t last long. With 1:22 left in the gold-medal game of the 2018 Paralympics and a faceoff in Canada’s zone, I still had hope. We pulled our goaltender Steve Cash for an extra skater. Four of us on the ice had won Paralympic gold four years ago in Sochi. We were confident we still had time to tie it up. All we needed to do was win the draw and get one shot. But then we lost the faceoff. Canada got the puck and cleared its zone. Somehow, one of their players got through and suddenly, they had a breakaway chance on our empty net. I remember sprinting toward the net, wondering if this was how our Paralympic dream would end. And then he hit the post. With 60 seconds on the clock, our dream still had life. In the 22 seconds that followed, everything clicked. Six of us were on the ice and literally all of us touched the puck at some point before Declan Farmer lifted it into the net to tie the game with just 38 seconds left in regulation. When regulation ended and we headed to the locker room, we knew the game was ours. We’d look around the room and see guys who knew what it took to win not only on the ice, but in life. World champions, gold medalists, cancer survivors, Purple Heart recipients. We weren’t worried about winning or losing; we just wondered who’d be the one to win it. And 3:30 into overtime, Farmer was again the one to score and secure us our record third-straight Paralympic gold medal. There’s nothing like winning gold medals and championships. You just can’t describe the feeling – whether you’re celebrating on the ice with your teammates and coaches, or with your family and friends. It’s a feeling you want to experience again and again. Just like it took all six of us on the ice to score that game-tying goal, it takes a team to help us reach those golden opportunities. Thanks to our families, friends and fans like you, we continue to raise money and support that has helped our team capture the last three Paralympics (2010, 2014, 2018) and three of the last five world championships (2009, 2012, 2015). We’re also four-time defending champions in the Para Hockey Cup (previously known as World Sled Hockey Challenge) and hope to win a fifth-straight title in the event when the tournament kicks off next week in London, Ontario. With the 2019 World Para Ice Hockey Championship set to take place this season, will you join our gold medal-winning team as we look to maintain our winning ways? Any contribution you make this Giving Tuesday can help give us our best chance to defending our golden reputation of excellence. To make a gift, click here! Thank you in advance for your generous support and thank you for helping show the world that the sport of hockey is for everybody! P.S. 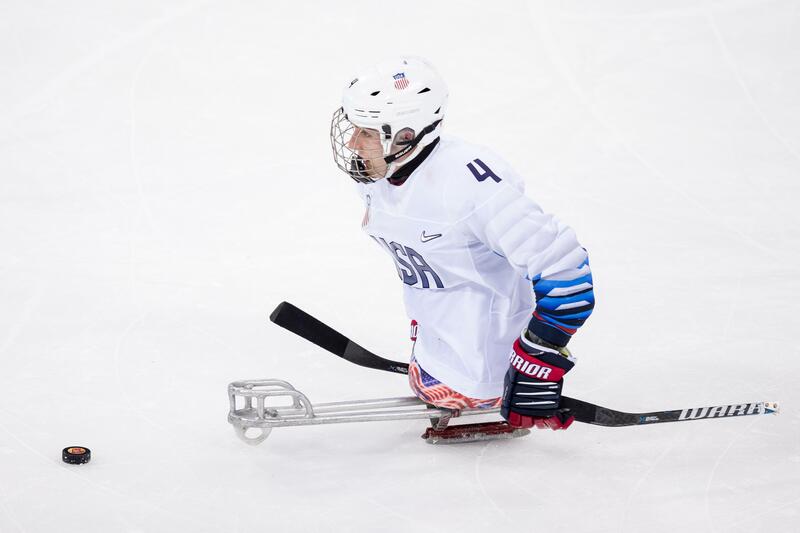 To learn more about sled hockey and our team, click here.